Also available in super-economical 5 litre and 15 litre refill boxes. cleans and degreases efficiently using the power of nature. kind to your hands thanks to plant based ingredients. not based on petrochemical ingredients. The Ecover Washing Up Liquid - Camomile & Clementine - 950ml product ethics are indicated below. To learn more about these product ethics and to see related products, follow the links below. In a world of dishwashers, this is still a great product for those of us that still do a hand wash. The scent is great and it is kind to the skin. It does work on tough jobs. Q: I have very sensitive skin, how safe are your products for me to use please? A: Hi, Ecover's products are made using plant based ingredients only, and in exception sometimes there are other ingredients like milk whey present. For this reason, they are kinder to your hands, and some of our customers have testified to this. 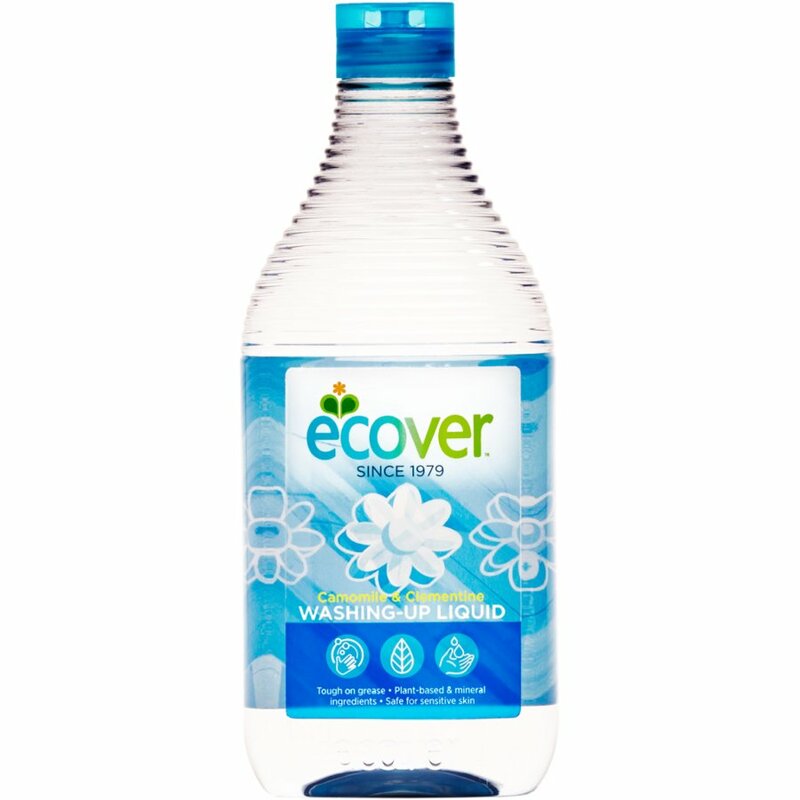 We also haven't had any negative reports back from customers about any of the Ecover washing up liquids. I hope this is helpful, Robyn. 4 out of 5 found this question and answer helpful.